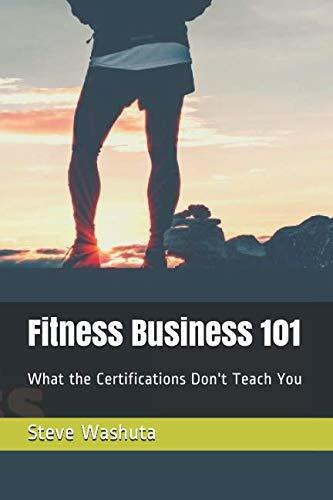 Whether you're a long time Fitness Professional looking for some new tools, or just jumping into this industry for the first time, I promise with your passion, persistence, and some helpful tips your fitness business can be better than you've ever imagined. I respect your time and dedication, and promise that your efforts coupled with my proven techniques will be a recipe for your success in this industry. The fitness and wellness club global industry has now grown to an annual $80 Billion USD. Most fitness professionals spend majority of their time focused on ineffective online marketing, and struggle to make over 35K annually...just like I did. I will help you avoid common mistakes, and expedite the process of making double, triple, or quadrupling the average salary to 140K+ by simply implementing a few key strategies. I have well over 15,000 hours working with hundreds of clients in just the past 6 years. I can show you how to do the same in your fitness business. My credentials are listed below, as well as my reviews. My coaching sessions are different than my book in so far as the plan becomes specific to you. I am excited to share all the tools and tips I have learned and used to grow my fitness business. A sample of coverage below. National coverage to be shown via E-Book, and Webinar. SWellness is a term I use for my version (SW) of wellness. SWellness is the process of continually learning and applying health, nutrition and fitness techniques to better oneself. I continue to add depth and understanding of the body from a hormonal, metabolic, anatomic, as well as psychological processes in order to guide my clients on better paths. I’m excited to share what I learn through this platform. You deserve better, and you know you were meant to do more. It doesn’t matter the health and fitness medium you want to enter into (Personal Trainer, Crossfit, Sport Specific Coach, Yoga Instructor, Nutritional Counselor, etc) it awaits you, and there is no better time to start. Phone Consultation reviewing your situation and goals to quickly integrate solutions. Fitness & Business videos of all sorts to keep you learning on the job. I will personally email you after subscribing below.